Across the U.S., an estimated 14.7 million family caregivers tend to the welfare of 7.7 million elderly who live outside the system of nursing and care homes. 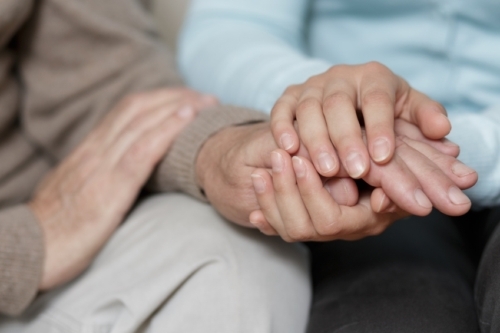 These caregivers provide vital services to their loved ones, but a recent study has found that this often comes at great personal financial, physical, and mental health costs. The researchers drew on data from a pair of 2011 surveys when making their assessment. The data covered 1,739 family caregivers and 1,171 elderly adults, with the findings statistically weighted and broadened to the population at large. This was how the researchers determined that around 6.5 million family caregivers provide “substantial” assistance with medical needs, 4.4 million offer moderate help with medical needs, and 3.8 million do not offer aid with healthcare but instead assist in other lifestyle areas. About 46% of the surveyed caregivers were tending to someone with a form of dementia and another 34% were providing care to an elder with another form of severe disability. Of those who provided substantial medical help, roughly half spent 28 hours per week doing so. In terms of the effects that this had on the caregivers’ lives, the study had a limited scope in what it could assess but its findings remain intriguing. For instance, caregivers who were providing substantial care were five times more likely to miss important events in their own lives and were three times as likely to suffer productivity loss at work. About 20% of substantial caregivers had to miss work at least once in the past month, compared to seven percent of modest support caregivers and 3.5% of non healthcare caregivers. These findings are mostly in-line with previous research on the subject. Past studies on the matter have consistently found that caregivers render services valued at around $450 billion per year if charged by conventional means. These services take tolls in time, attention, and mental strain that lead many caregivers to have to give up promotions, wages, health insurance and other benefits, and sometimes retirement savings. It is extremely important that caregivers have a support network in place to allow them to deal with the burden of their duties, and that the government acknowledges their important contributions to the welfare of the aging population. Woliff, J., et al., “A National Profile of Family and Unpaid Caregivers Who Assist Older Adults With Health Care Activities,” JAMA International Medicine, 2016; http://archinte.jamanetwork.com/article.aspx?articleid=2491683, last accessed February 16, 2016.